Basana Barman, the mother of the region’s first Asian games gold medalist Swapna Barman, is all set to welcome her daughter when she arrives at her home in Jalpaiguri very soon. Yellow is the colour of success! It is the colour of Brazil, which won the Football World Cup for the maximum number of times; it is the colour of Australia, which lifted the ICC One- Day Cricket World Cup for a record number of times; it is the colour of Chennai Super Kings, which has an incredible record in the Indian Premier League; and it is the colour of gold and the colour of north Bengal’s signature dessert-the famous chomchom of Belakoba–with which Basana Barman, the mother of the region’s first Asian games gold medalist Swapna Barman, is all set to welcome her daughter when she arrives at her home in Jalpaiguri very soon. The 46-year-old mother of the athlete, who has created history by winning India’s first heptathlon gold in the Asian Games, has no clue as to when her youngest daughter will return home, but she is preparing to welcome Swapna with the most favourite sweet of her champion daughter- the popular golden chomchom with the mouthwatering garnish of mawa flakes on them. “Swapna began to live in Kolkata for training and education since she was in class IX. She is a pure vegetarian and likes leafy vegetables. But she has to eat a lot of animal food in Kolkata. She rarely gets to eat a vegan diet there. She also misses her favourite chomchom. When she comes home, she eats a lot of leafy vegetables and her favourite sweet,” said Mrs Barman. Soon after Swapna’s incredible feat, West Bengal Tourism Minister Gautam Deb, the Siliguri Jalpaiguri Development Authority chairman Sourav Chakraborty, and a host of other government officials visited her house at Ghoshpukur in Patkata, Jalpaiguri. They assured Mrs Basana that they would give Swapna a hero’s welcome on her arrival in Jalpaiguri. But Mrs Basana, her eldest daughter and her two daughters-in-law are planning to organise a simple ceremony to welcome the pride of their house. “We don’t know when Swapna will return home. We have learnt that she will come to Kolkata on September 3. When she comes home, we will welcome Swapna with Belakoba’s chomchom and cook for our golden daughter her favourite recipes of spinach and other leafy vegetables,” said Mrs Basana. 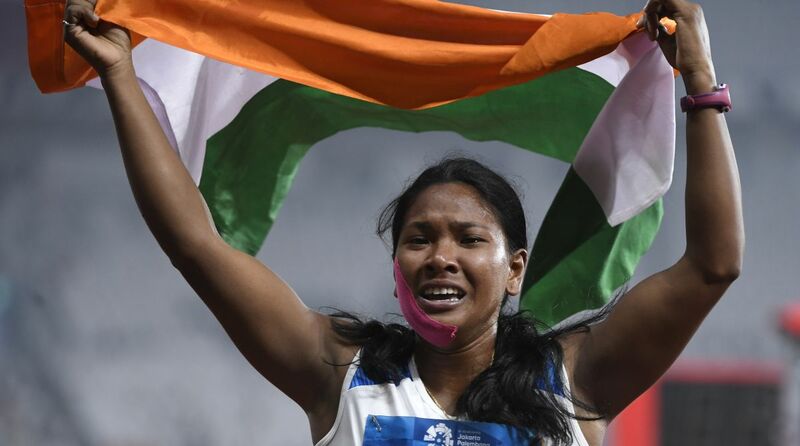 “She broke down in tears when Swapna touched the finishing line in the 800 meters race. Since then, tears of happiness come out of her eyes every time she speaks about her daughter,” said the eldest brother of Swapna, Ashit Barman, who works as a mason in Jalpaiguri along with his brother Pabitra Barman. Pabitra recalled how winning had always been a journey through poverty for Swapna. “Each of us earns Rs 300 per day. The family runs on our earnings. My mother was a tea-picker at the Denguajhgar tea plantation near our house. Nine years back she had to leave the job to look after us after the only other earning member of our family, my father Panchanan Barman, who was a rickshaw van-puller, suffered two massive strokes and lost his memory almost completely. 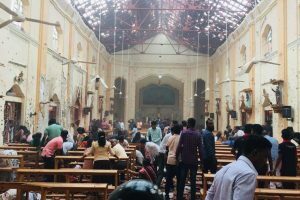 My father is still bed-ridden and we still have to eke out a precarious living,” lamented Pabitra. However, Mrs Basana is hopeful that her daughter, who has done her family and India proud by successfully travelling from rags to riches against all odds, will bring smiles to the family and deliver them from the abysmal poverty that they are languishing in. “Swapna has faced a lot of pain and poverty in her small life of 21 years. We had to struggle a lot to fund her sports training, until scouts spotted her and she picked up scholarships. She battled against injures, chronic back pain, physiotherapy sessions and her congenital problem of 12 toes. She successfully completed her graduation from the Charu Chandra College in Kolkata this year. My darling daughter was also least deterred by the excruciating pain in her gum before the final day of the heptathlon competition in Jakarta. She called me up just before the meet to take my blessings and said she would not return home if she did not win gold in the championship. When she won the medal she rang me up to thank me, my family and her neighbours. Chief minister Miss Mamata Banerjee called me up to congratulate me and my family members yesterday. I saw on the TV that she has announced an award of Rs 10 lakh for my daughter and has promised to give her a job. I strongly believe that her success will surely deliver her from her pain and her family from their poverty,” the mother of the most successful sportsperson in north Bengal said.